30 years of experience in supplying, installing and maintaining high quality air conditioning solutions for commercial, industrial and domestic clients. 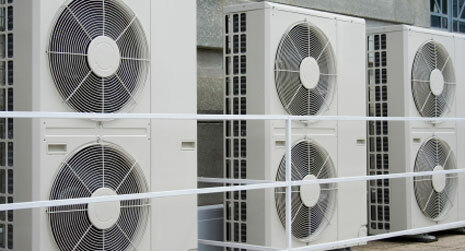 Here at Cordell Air Conditioning we have over 30 years of experience in supplying, installing, repairing and maintaining high-quality air conditioning solutions for commercial, industrial and domestic clients throughout Middlesex and Surrey. During this time our premier service, excellent workmanship and high-quality air conditioning units have led to us to developing an impressive and well-deserved reputation as the leading company for all your air conditioning needs and solutions. Our expert engineering team has contributed greatly to our success, thanks to their dedication, hard work and complete professionalism. As a result, much of our work comes from word of mouth recommendations from our extremely satisfied customers. As an independent company we take great pride in our provision of unbiased advice to ensure our customers receive the perfect air conditioning design, installation, products and maintenance packages to suit their specific needs. For more information about our range of cost effective, high-quality heat pumps and air conditioning units for sale as well as the comprehensive services we offer, simply call us today at Cordell Air Conditioning and discuss your requirements with a member of our knowledgeable and friendly team. Cordell Engineering Ltd is a registered company in England Registered Number 1752158 • VAT Number 226439363 | © Cordell Engineering Ltd 2019 All Rights Reserved.